The official Thomas & Friends YouTube account for the Japanese has been opened on the video networking website. Under the pseudonym thomasandfriendsjp, the channel has been used to promote theatrical releases and selected DVDs. While trailers to 劇場版 きかんしゃトーマス 『ディーゼル10の逆襲』and the ソドーせいびこうじょうはおおいそがし DVD are syndicated for global viewing, seven of the nine available videos are only enabled for Japan. Since April 3rd, thomasandfriendsjp has managed to oversee a total of 16,000 views for its content. 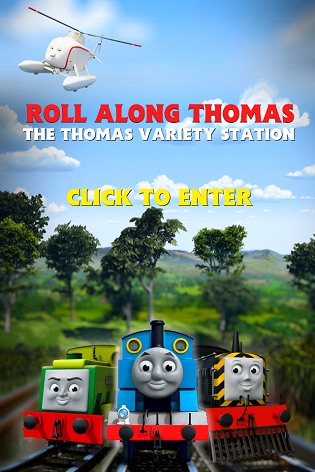 Thomas and the rightfully chosen Hiro headline the monetized banner set in a typical Sodor countryside. Thanks to SI3DFilms for the alert.